Latin America airline CEOs: On market conditions, liberalisation, challenges and opportunities. This is Part 2 of a two part series. The outlook for Latin America’s aviation sector is starting to brighten after a difficult couple of years. The long-term prospects for growth remain bright as economies recover, the middle class expands and new LCCs are launched. Following the recent changes in Argentina most of the region’s markets have liberalized and are now open. However, infrastructure challenges and regulatory issues, including high taxes on international air travel, still need to be overcome. “In terms of liberalisation I believe….we have come a long way from a decade or two ago." Copa Holdings SA is an airline holding company that operates Panama's Copa Airlines and Copa Airlines Columbia. Founded in 1947 by a group of Panamanian businessmen in partnership with Pan American World Airways, Copa Airlines is a full-service carrier that provides services to destinations throughout North America, South America and the Caribbean from its hub at Panama City Tocumen International Airport. After a series of separate ownership changes and alliances, Continental Airlines acquired a 49% stake in Copa in 1998. By May-2008, Continental had sold its out of its holding. Following Continental’s merger with United Airlines, Copa continues to cooperate extensively with the carrier on codesharing agreements. In 2005, AeroRepublica (now Copa Colombia), a Columbian domestic and regional airline, was acquired to bolster the group's presence in that market segment. Copa Holdings SA expanded its Colombian operations in 2016 with the launch of Wingo, a low-cost unit under Copa Colombia. The new carrier commenced service operations on 01-Dec-2016, with services to Latin America and Caribbean destinations. Copa Holdings is listed on the New York Stock Exchange under the ticker (CPA). Copa is a member of the Star Alliance. As of the end of May-2017, the group’s fleet consisted of 101 aircraft with 67 aircraft on order, according to the CAPA Fleet Database. 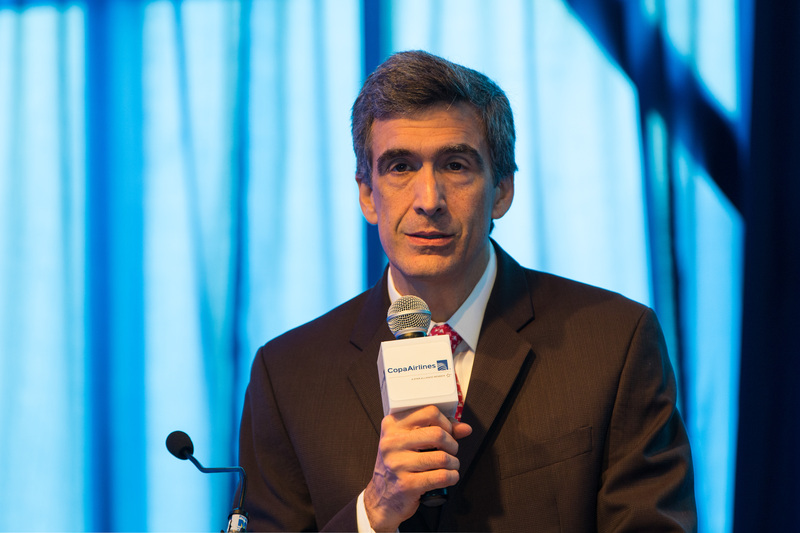 Pedro Heilbron: We are seeing improved market conditions in Latin America, after two very difficult years. Currencies have stabilised and, overall, the economies are projected to expand, after two years of negative GDP growth. In regards to 2017, we are seeing positive demand trends, which we hope remain for the rest of the year and beyond. However, we are not expecting demand to be back at 2012-2014 levels in the near future. Pedro Heilbron: Connectivity is a key element of economic growth and social development. Argentina knows that and has thus started taking the necessary actions to increase air connectivity. This, I believe, is being done in a measured and rational way, which should result in more controlled growth and a balanced competitive environment. In regards to Copa Airlines, we are planning to start a new Argentinian destination before year end. Pedro Heilbron: In terms of liberalisation I believe most Latin American countries are where they need to be. We have come a long way from a decade or two ago. Where there is more room for improvement is in infrastructure investment and charges and taxes. Latin America still has some of the most congested airports in the world and infrastructure improvements need to be better coordinated with the airline users. Same goes for charges and taxes, were more transparency is required. This will only start changing in a significant way when more countries start valuing the contribution of air travel and tourism to its economic growth and social development. CAPA: What are Copa's plans for capacity and fleet growth plans for this year and next year? What markets/routes are your priorities for growth? CAPA: How is the raft of new LCC start-ups changing the market in Latin America? How has the launch of Wingo gone? Would Copa consider other LCC projects in the region and how does Copa needs to respond and adapt as more LCCs enter? Pedro Heilbron: The international Intra-Latin America market is a difficult one for any new entrant, given its relatively thin markets, high charges and taxes, no secondary airports and traditional distribution channels. Going forward, Copa Holdings hopes to successfully compete using a two-prong approach, depending on the markets: a very cost efficient Copa Airlines or ULCC Wingo. VivaAerobus launched services in Nov-2006. The Mexican low-cost carrier operates from its main base at Monterrey Escobedo International Airport, providing primarily domestic services. VivaAerobus was initially formed as a result of a strategic alliance between Grupo IAMSA, one of Mexico’s leading bus transportation providers and Irelandia Aviation, the investment vehicle of the Ryan family. Irelandia retained a 49% stake in VivaAerobus until 2016, when it was taken over by Grupo IAMSA. However, in terms of branding VivaAerobus remains part of the Viva Group, which includes VivaColombia and newly launched Viva Air Peru – both of which are owned by Irelandia. VivaAerobus initially operated a fleet of 737-300s and completed in Oct-2016 a transition to all A320 fleet. As of the end of May-2017, the VivaAerobus fleet consisted of 21 aircraft and 39 orders, according to the CAPA Fleet Database. CAPA: How are current market conditions in Mexico and Latin America and what is your outlook for the rest of this year? Juan Carlos Zuazua: Commercial aviation in Mexico is growing double digit. I believe Mexico is the fastest growing region in Latam. The four major carriers in Mexico are growing, Viva being the fastest growing carrier in Mexico. CAPA: How has recent liberalization in the region (such as US-Mexico open skies and Argentina opening up) impacted your business plan and strategy? JCZ: No impact currently. Viva is a predominantly domestic carrier, however the US bilateral has opened up some US Mexico opportunities for Viva in the near future. JCZ: I believe every single Latin American country has a big challenge in terms of airport infrastructure or high airport taxes. Mexico has one of the highest Passenger Facility Charge in the world, and this is impacting demand of travel. The average TUA (or PFC) in Mexico is around USD20 per one way ticket (four or five times higher than the US). CAPA: What are VivaAerobus' plans for capacity and fleet growth plans for this year and next year? What markets/routes are your priorities for growth? How has Viva benefitted from the fleet consolidation completed last year (following phase out of 737-300s) and how has the new A320neo performed so far? JCZ: Viva is an all A320 operator now, with the youngest fleet in the Americas. We finished 2016 with 21 A320s (of which 2 were NEOs). We will continue growing in 2017 around 22% YoY, mostly on domestic service. We will incorporate 5 additional A320s during June and December. A320 NEO fuel burn has been on target as expected, we have had some issues with the engine (as publicly noted), issues which P&W has dealt with and corrected to the worldwide fleet of A320 NEOs. CAPA: How is the raft of new LCC start-ups changing the market in Latin America? How is the new Peru project going and what other markets are in consideration for Viva franchises? JCZ: VivaAerobus does not participate on the VivaAir Peru project. I suggest you contact VivaColombia for this question. VivaColombia was founded in 2008 and commenced operations in May-2012. The LCC provides domestic and regional services from its bases at Medellin Jose Maria Cordova Airport and at Bogota El Dorado International Airport. VivaColombia cooperates closely with sister carrier, VivaAerobus, based in Mexico, both of which form part of Grupo Viva. VivaColombia is wholly-owned by Irelandia Aviation. In May-2017 Group Viva launched an LCC in Peru, which is also owned by Irelandia with some support provided by VivaColombia. As of the end of May-2017, VivaAerobus operated a fleet of nine A320s. William Shaw: Latin America has big potential, and in the eyes of the world, it is viewed as a market that has not yet matured in the way that North America, Europe or Asia’s markets have. This is a great opportunity for the low-cost model, and we have had this ambition since we started with the first low-cost airline in Colombia in 2012, VivaColombia, and our most recent launch in Peru with Viva Air. Our biggest dream is to spread low airfares around Latin America, making travel more accessible to all people. We expect to see rapid market growth in our new market in Peru for the rest of this year as the “Viva Effect” begins to spread through the continent. We will continue to work with all government entities that are essential to the growth of the sector, freeing markets from bureaucracy and stimulating growth to everyone’s benefit. CAPA: How has recent liberalization in the region influenced your business plan and strategy? WS: The support and commitment of different entities and policies to stimulate travel consumption in the region has allowed us to continue to grow and offer the best fares in the market. Governments in the region are only starting to see the benefits of opening up markets and encouraging low-cost carriers challenging the large incumbents to offer more accessible services. This requires the status quo of high taxes and airport charges to be changed. We have already seen the benefits in Peru where prices have fallen by up to 70% before we even started operating. Our next challenge is to bring this vision of market stimulation to international flights in the region. We believe that taxes and charges are still too high for international travelers, which is a great barrier to enabling economic growth through the market. The infrastructure development is fundamental; I think we are on the right track and that has allowed us to think about more countries to continue expanding the low-cost model. We still want to see infrastructure improve in airports away from the major cities, which again will bring enormous benefits for the economy as a whole. WS: To expand the low cost model in different countries of the region we must have the optimal conditions to do it. That’s why we invite governments to prioritize and invest in tourism and infrastructure to stimulate the market. When this happens, all the value chain benefits and it is reflected in more consumption, hotels, jobs, restaurants, etc. Again, our biggest challenge is for this status quo to be broken for international travel where passenger taxes and airport charges are excessive. CAPA: What are VivaColombia's plans for capacity and fleet growth plans for this year and next year? What markets/routes are your priorities for growth? WS: We expect to carry more than 5 million passengers with VivaColombia, which means an increase of 47%. Currently we have 20 domestic routes, 4 international routes and 11 planes. By the end of the year, we expect to have 14 aircraft in total. Within Colombia we have decided to consolidate our network and offer more frequencies on existing routes rather than expand this year. We have been offering our customers an improved schedule product with increased frequencies. We have also been betting on our connecting flights, as we know it is a great opportunity to connect our country and our international destinations. Our dream is to bring the low-cost model to every corner in Latin America and we have been working on it with Irelandia Aviation, the premier low-cost airline developer in the world. Proof of this is the launch we had a week ago in Peru with Viva Air, the first low-cost airline in this country, where we expect to carry 700,000 passengers in the first year and boost the overall number of passengers in the country by 40%. CAPA: How is the raft of new LCC startups changing the market in Latin America? How is the new project in Peru performing and are you looking at establishing affiliates or JVs in any other Latin American markets? We are very excited by how the Peruvian market has reacted to our entry. After only 8 days of operation, we have more than 63,000 passengers booked and the competitors’ airfares have decreased up to 70%. We see Peru as Colombia was five years ago, now the market has grown and the passengers have benefited the most. As more LCCs seek to establish in the region, it brings more opportunities to Latin Americans and democratizing airfares in the region. This model is just begging to be here, but in Europe and North America, the air travel model has definitely changed. Volaris commenced operations in Mar-2006, backed by managers of the Discovery Americas I and Columbia Equity Partners funds, in partnership with TACA Airlines (now part of Avianca but Avianca Holdings does not have a stake in Volaris). Volaris is a self-described ‘ultra low-cost carrier' that operates services throughout Mexico and the US. The carrier primarily targets visiting friends and relatives, or VFR traffic as well as cost-conscious business and leisure travellers. Volaris is based at Mexico City Toluca Airport. The carrier completed an initial public offering in Sept-2013 with a dual listing on the NYSE (VLRS) and Mexico’s BMV (VOLAR). In Nov-2016 Volaris launched an LCC in Costa Rica, Volaris de Costa Rica, which currently operates two aircraft on routes within Central America. As of the end of May-2017, the Volaris fleet in Mexico consisted of 67 aircraft with 45 aircraft on order, according to the CAPA Fleet Database. CAPA: What are current market conditions like in Latin America and what is you outlook for the rest of this year? Enrique Beltranena: Market dynamics in Latin America are changing as low cost carriers are gaining more ground each year. In 2012, around 80% of the flights were dominated by legacy carriers, while in 2017 their share decreased to 70%. Even though this is still a high share, I expect to see this number keep dropping, as LCCs, such as Volaris Costa Rica, have announced plans to serve these markets. What we will see in the market is a switch of passengers that used to travel by bus now taking planes, tourists that could not afford going on vacations now traveling as fares will drop dramatically and people visiting friends and relatives more often. In general, I expect that the market will grow as low costs carriers are stimulating demand through first time fliers that did not have a cheap option before. This phenomenon is already happening in Mexico and it is also starting to reach South and Central America. As a result, flights per capita in the region should increase. In Mexico alone, over the past 10 years, this number has increased from 0.2 to 0.3 with plenty of room to grow to levels closer to 0.5-0.7 as in other emerging markets. CAPA: How has recent liberalisation in the region (such as US-Mexico open skies and Argentina opening up) impacted your business plan and strategy? How do you plan to take advantage of opportunities from liberalisation? EB: This is a wonderful news for both passengers and airlines, as now passengers do not have limited options to fly. In Volaris, we already took advantage by opening new routes that were constrained before such as Mexico – New York, Mexico – Miami and Mexico – San Antonio. As an example, service between New York to Mexico City was monopolised by two legacy carriers with 80% of the seats and offering fares for around USD600 each way. Now thanks to the Open Skies Agreement between Mexico and the US, passengers can have the opportunity to choose from different carriers and fly with fares as low as USD99 each way. CAPA: What countries in Latin America do you think are still behind in terms of liberalisation, infrastructure and charges or taxes? How important is it for governments throughout this region to liberalize, change policies and invest in infrastructure? EB: In terms of charges and taxes, several countries are still behind as total airports and government fees can reach above USD100. By doing so, this immediately elevates the total fares paid by the passengers and strangles opportunities to stimulate demand. It is extremely important that governments review their policies if they wish to increase air service to their countries. Also, investment in infrastructure in airports where operation is complicated such as Cusco or Tegucigalpa is key to further develop air travel in the region. 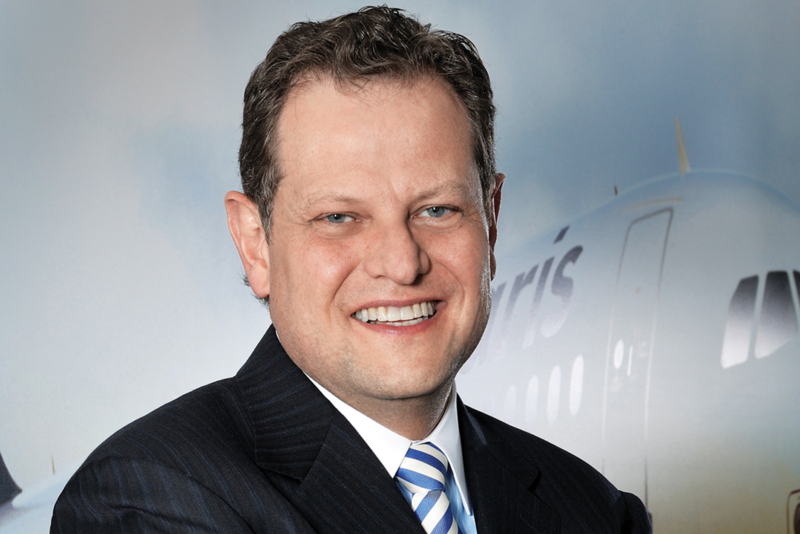 CAPA: What are Volaris’ plans for capacity and fleet growth plans for this year and next year? What markets/routes are your priorities for growth – both regionally within Latin America and outside? EB: In 2017, Volaris expects to end the year with 73 aircraft and with 79 for 2018. In 2017, we have already grown 17.3% in passengers during the first four months of the year vs. last year; cautiously managing capacity based on the macroeconomic environment. Our current priorities of growth are expanding deeper into the US’ Visiting Friends and Relatives market, growing domestic and develop our new Costa Rican airline by adding services within Central America, South America and the US. CAPA: How is the raft of new LCC startups changing the market in Latin America? How is the new Volaris entity in Costa Rica performing and what similar opportunities is Volaris exploring in the region? LCCs are new opportunities for an unserved market that could not fly because it was expensive. In Costa Rica, Volaris has already announced five new services in only five months and we expect to announce many more through the year; we believe there are still several untapped opportunities as previously there was no LCC offer. 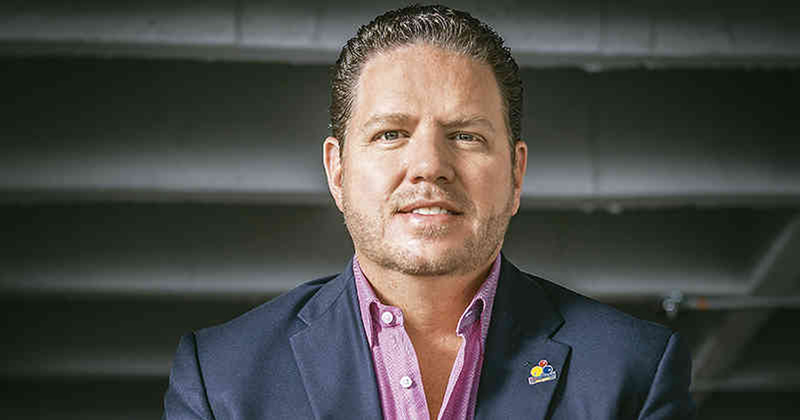 We plan to expand through Volaris Costa Rica in the South American, Caribbean and United States markets and we are also remaining vigilant for new opportunities similar to Costa Rica in the region. Azul Linhas Aéreas Brasileiras (Azul) was established by former JetBlue Airways CEO, David Neeleman in Mar-2008, with the Brazilian low-cost carrier commencing operations nine months later in Dec-2008. Azul offers one of the largest domestic networks of any airline in South America, covering more than 100 destinations across Brazil. Azul also now operates long haul services to the US and Portugal as well as a limited number of regional international services within South America. The carrier is based at Campinas Viracopos Airport with a secondary hub at Belo Horizonte Tancredo Neves International Airport. Azul announced that it would merge with fellow domestic airline, TRIP. The merger was finalised in May-2014. In Nov-2015, HNA Group and Azul announced a new strategic partnership under which HNA Group will acquire a 23.7% stake in Azul for USD450 million, aiming to benefit from “substantial” passenger traffic between China and Brazil. HNA completed the transaction on 04-Aug-2016, established itself as the single largest shareholder of Azul by economic interest. Azul recently established a subsidiary in Uruguay, Azul Uruguay, which aims to commence operations in 2H2017. Azul completed in an initial public offering in Apr-2017 with a dual listing in Sao Paulo and New York. As of the end of May-2017, Azul’s fleet consisted of 125 aircraft and 96 orders. 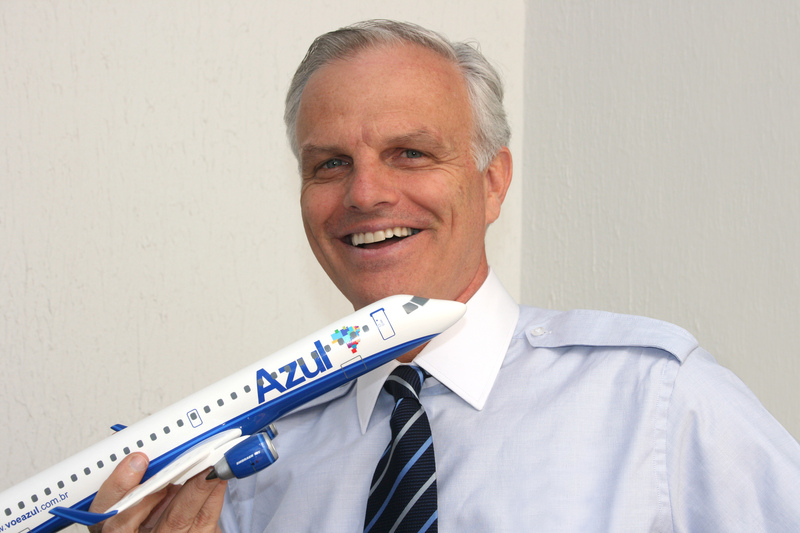 David Neeleman: Azul remains hopeful. DN: Flights are doing well from Belo Horizonte, and we are awaiting authority to fly from Viracopas airport. DN: It is very important. CAPA: What are Azul's plans for capacity and fleet growth plans for this year and next year? DN: This year 8-10%, hopefully next year 6-8%. CAPA: How is the raft of new LCC start-ups changing the market in Latin America? How is the Uruguay project performing and is Azul considering other projects or JVs in the region? How does Azul need to respond and adapt as more LCCs enter? DN: We are awaiting our Uruguay operating license.